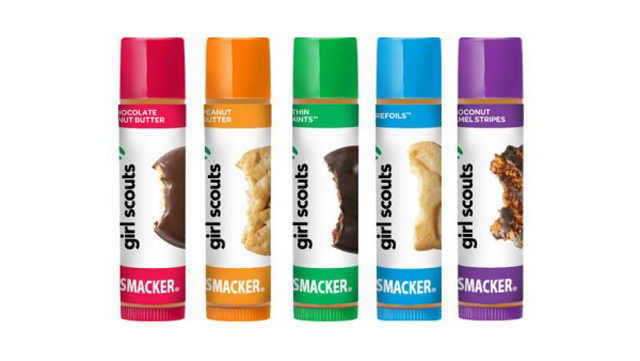 Girl Scout Cookies Flavored Lip Balm – Chocolate Peanut Butter, Trefoil, Peanut Butter, Thin Mint and Coconut Caramel Stripes. And Paula Deen offers up BUTTER FLAVORED Lip balm … plus peach cobbler, pecan pie, pumpkin pie, key lime pie and banana pudding. (MET: This? 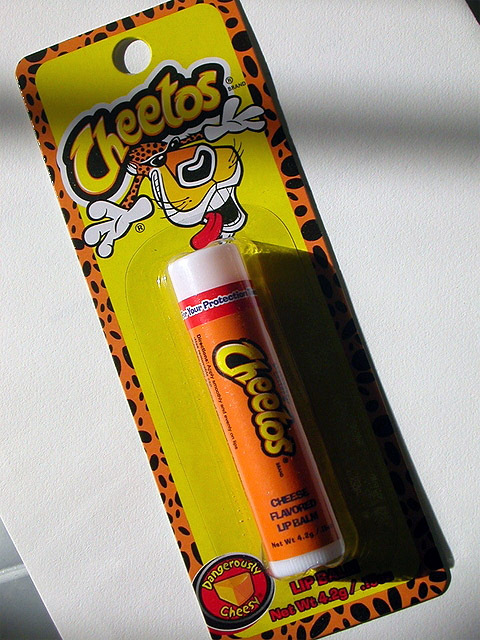 pack of 4 only). Crazy stuff man, crazy stuff.